From October 11 to 13, Nereus Program Fellow Gerald Singh, Research Associate Tyler Eddy, and Director of Science William Cheung attended the Impacts World Conference 2017, the international conference on climate change impacts for scientists and stakeholders, in Potsdam, Germany. Attendance included participation from over 500 academics, policy makers, NGOs, noble laureates, ministers, and stakeholders. Attendees addressed four key challenges for quantifying the true costs of climate change, including the economic costs, human health, human migration, and the Sustainable Development Goals. 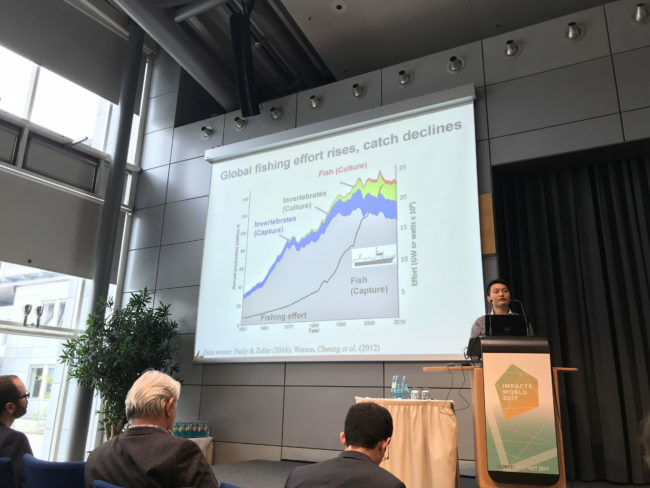 Cheung delivered a plenary talk on the ‘Future sustainability of seafood production under climate change.’ In his speech, Cheung addressed the integrated topics of growing seafood demands, elevated fishing efforts, and decreasing catches within the scope of climate change. William Cheung presents at Impacts World 2017. Image by Tyler Eddy. – how can land and sea interactions be better represented in socioeconomic pathways used in climate model projections? – what data or methods are missing to address these interactions? 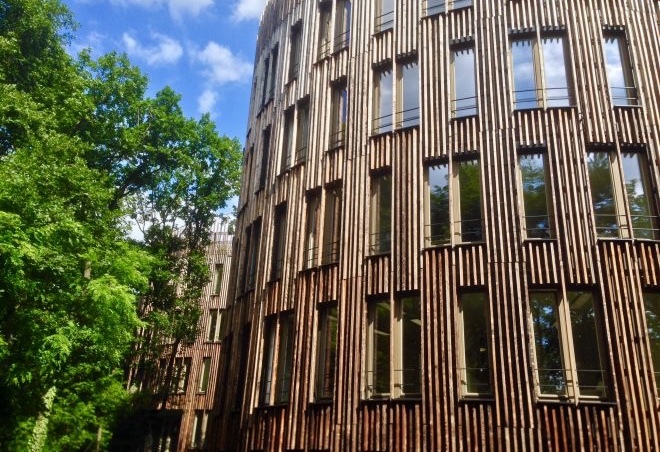 – and how do we ensure that this information is relevant to policy makers? A paper is being produced on this discussion.